Taste the rich layers of black. This 31st, 100-page issue explores the theme "Black" via inspiring sculpture, paintings, photography, illustrations, jewelry, mixed media, poems and stories and more by international, emerging and indie artists and writers. 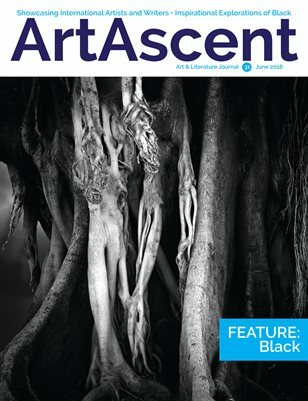 If you love art - both visual and written - you'll love ArtAscent.